Revisiting The MCU: IRON MAN | Warped Factor - Words in the Key of Geek. To prepare for Captain America: Civil War and the start of Phase Three in the Marvel Cinematic Universe we're looking back at the previous movies from the MCU. 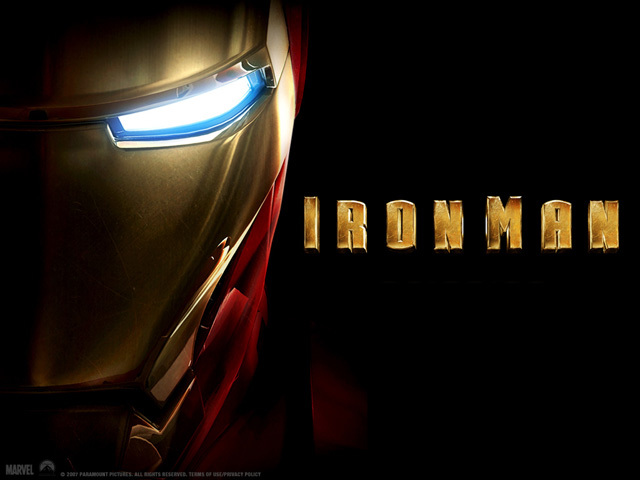 Today Tom Pheby kicks things of with the opening chapter, Iron Man. The film industry has certainly taken a liking to the Marvel back catalogue and Stan Lee's ink based heroes have been the mainstay of the blockbusters genre for almost the last decade. Growing up I read 90% of Marvel comics and I freely admit that Iron Man was way down the order of favourites, so when Marvel announced a big screen version was on the way I wasn't jumping for joy. I suppose you could describe me as being impartial. I just kept thinking that surely there were other better suited characters to represent Marvel as they launched their Cinematic Universe? The thing that instantly struck me about 2008s Iron Man was that the main character. Tony Stark (Robert Downey Jr), is a conceited, smarmy, loathsome individual whose ego is so big it has to be stored in an aircraft hanger - this is a total contrast to the mild, meek and geeky twerps that are the usual dormant hero in waiting. 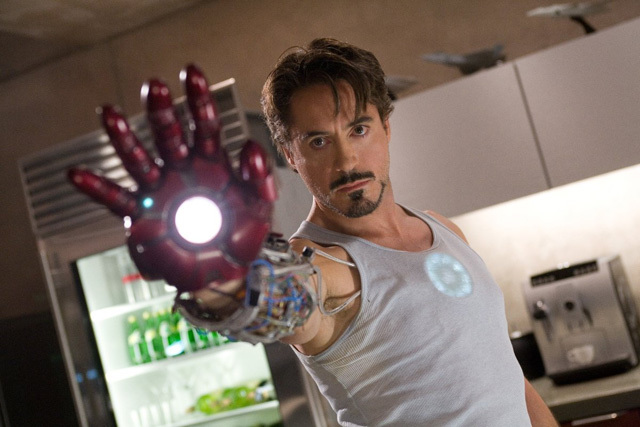 Stark takes annoying and insufferable to new levels and you begin to wonder if you could ever like him even if he paid you to do so, but, and there's a clever but, it all changes after the heartless genius sells missiles to some Afghanistan rebels and subsequently finds himself imprisoned. Oh, I should mention at this point that he has a porthole in his chest full of fairy lights which allows him to live normally, if you call have an illuminous disco light in your chest normal! 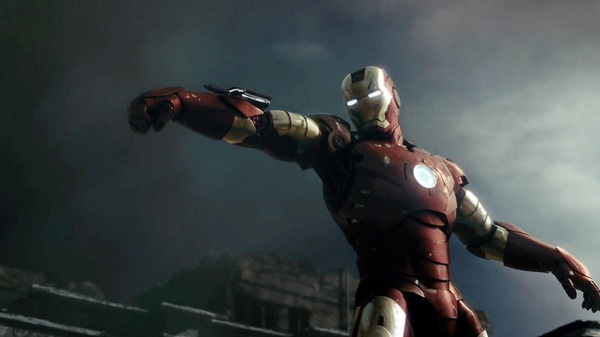 Anyway, Stark escapes by building an impenetrable iron suit and storms out of his cave bunker to kick foreign butts. It's all a bit reminiscent of a propaganda film at this point and you half expect someone to pop up calling himself Aladdin Binladen. The whole point is that Stark is a changed man and determined to prevent wars instead of contributing to them and the devastation caused by a potential technological bomb feast. This change of heart doesn't go down well with his right hand man and gleaming egg head Obadiah Stane (Jeff Bridges) who has other plans. Robert Downey Jr was a troubled soul blighted by the excesses of stardom, and had to disappear for a spell to gather himself. With this done, he has gone on to delight us with a number of excellent performances and showcased his talent. The resurrection of his character (Stark) and his own life have certain similarities and was perhaps half the reason why he took the role. The glamour is provided by Gwyneth Paltrow (better known recently for becoming consciously uncoupled from some dull bloke who bashes out songs on a piano) who plays the vague and pointless assistant Pepper Potts. It's rumoured that Paltrow was undecided when offered the role and received a call personally from Downey Jr asking her "Wouldn't you like to be in a film that people actually watch?" - Brilliant! You can't make a movie such as this without a few rough edges being exposed or without the script being compacted to fit everything in, it's a difficult balancing act to present an origin story and a decent adventure, but director Jon Favreau and screenwriters Mark Fergus, Matt Holloway, Hawk Otsby and Art Markum pulled it off nicely. The whole affair could have been a deadly dull predictable outing, but Iron Man turned out to be a vastly enjoyable romp, it was slick, witty, dramatic and exciting. After watching Iron Man for the first time I remember thinking that if Marvel can maintain the same standard across all their movies then we'll be in for many more treats. Eight years on they've pretty much done just that. Iron Man is still a great movie to relax with on a Saturday night whilst you gear up for the football highlights (or lowlights depending on how your team is performing). Iron Man might not have been the obvious choice of characters to kick off the MCU, and it might not have been my favourite comic book, but it's become one of my favourite comic book movies.